Beginning from the 16th Century, the Emperor of China would undertake a twice-yearly pilgrimage across Beijing to fulfil his sacred role as the son of Heaven. The ceremony was always shrouded in secrecy, and ordinary folk like you and I would not have been allowed to observe, much less partake. But even if we’d been privy, it would all have seemed a bit strange. Religious buildings are typically grand, towering monuments, designed to astound the gods with the sheer richness of our sincerity. Not so the Temple of Heaven. It only needs to spotlight a single man- the emperor- when he prays to the heavens, and seems appropriately sized for the task. Not helping, the temple is situated within a vast courtyard of grass, which serves to further juxtapose just how small that temple really is. Yet look closely, and a different picture starts to emerge. The key is in the shapes. The grounds of the temple, that unremarkable grass courtyard, is a square, signifying earth. It is big, much bigger than the temple itself, and meant for the more numerous laity. On the other hand the temple is a perfect sphere; circles symbolize heaven, and heaven was open only to the privileged. The Chinese character for ‘heaven’ is tien, also meaning ‘sky’, and everyone could raise their heads and see the firmament, stars and all. But the Chinese were very clear about this- everyone could see the heavens, but only one man could enter. Enter the Spiral Ears SE5 Ultimate. Now you, too, can gain access to the sky above us. Big. Airy. Heavenly. BTW, did you know that the Temple of Heaven was acoustically treated, to improve the sonic resonance when the emperor made his prayers? In short here we have a building that echoes sounds endlessly towards the celestial sphere. That’s pretty much exactly what the Spiral Ears sounds like. I rest my case. Build Quality: Perfectly finished, smooth everywhere. Does not even look remotely handmade. What is your company’s history? Why did you guys decide to start this company? 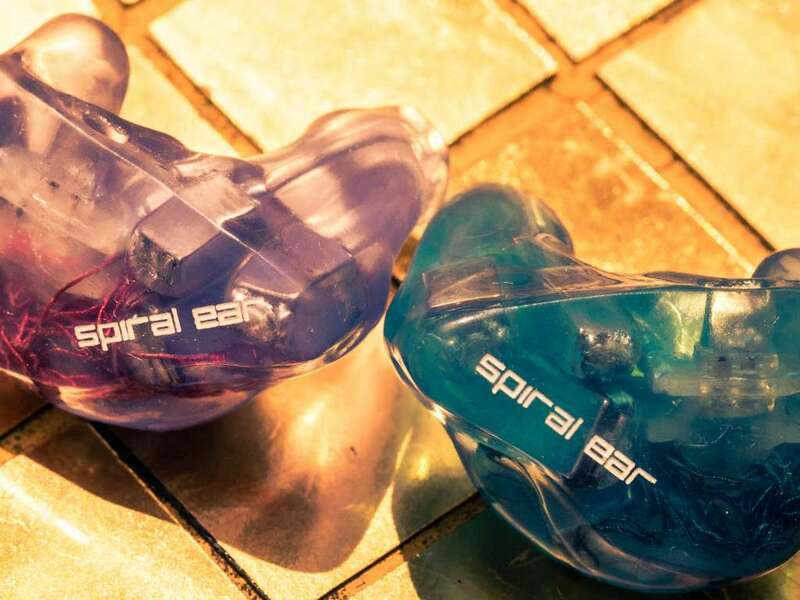 Spiral Ear has set out with an idea of re-creating the best sound possible, with no compromises and a fresh approach to conventional acoustics, among other aspects. I believe it had actually begun in my childhood when being not satisfied with the sound of earphones and headphones existing back then I have always been striving for better sound quality ever since. It’s been music itself which had put me on that path and which has been one of the greatest driving forces in my life. It’s been a lifelong and music-driven project. There are also various philosophical hints to the very name- Spiral Ear, for those willing to dig deeper. People with likewise passion for music and sound, perfectionists and artists (I mean real fine-art artists). Our “house sound” derives from music and nature itself, as simple as that. The goal has always been to recreate the most natural and neutral sound possible; the right tools for our own monitoring purposes/music production and for personal listening alike. What do you see as different or unique about your flagship? Why did you choose to do it this way? 5-way Ultimate are unique in a sense that, in my opinion at least, the monitors are as transparent as they can be, they disappear and you are left with a signal ‘hard-wired’, so to speak, directly into your brain. They take what we’ve achieved earlier on with 5-way Reference and spiral outwards even further. Spiral Ear’s products have been distinctive and unique because we’ve introduced the new way of multi-bore implementation years before everyone else, starting with the first true 3-way configuration and so on. A lot of other solutions have also been introduced during that time so as to achieve what SE monitors can do today, but we cannot disclose them, obviously. They cannot be copied either. Where do you see the industry headed? What kind of role do you see your company playing in shaping this? We cannot disclose our vision regarding that, I’m afraid. Spiral Ear will certainly try to push the limits, evolve and progress as it’s happened over the years already. We’ll see what the future holds and we’re quite excited about it!